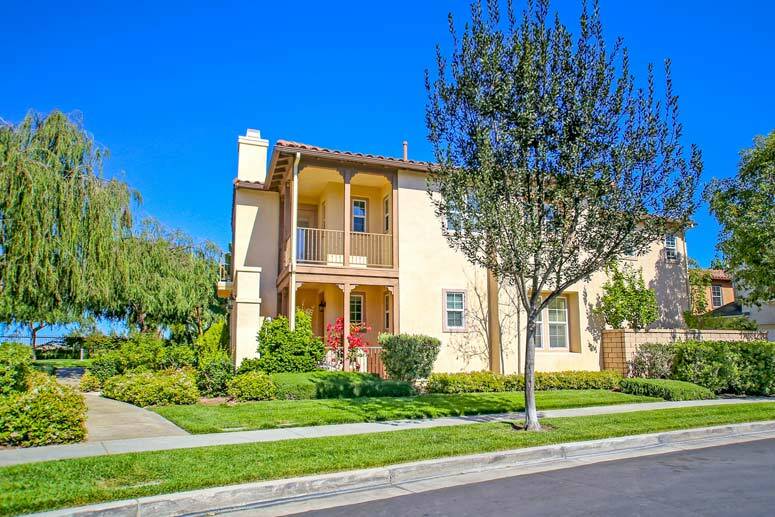 Laurels community residences comprise of 83 attached and detached two story condominiums built by William Lyon Homes in late 2003. Laurel home tracts offer a variety of four different floor plans to choose from. Residence one is a 3 bedroom, 2.5 bath home with 1,500 square feet of living space. Residence Two offers 3 bedrooms, 2.5 baths and 1,885 square feet of living space. Residence Three offers 3 bedrooms, 2.5 baths and 1,974 square feet of living space. Finally, residence Four features 4 bedrooms, 2.5 baths with 2,037 square feet of living space. All homes offer attached 2 and 3 car garages with current real estate prices starting from $900,000. The Quail Hill Community Association is managed by Keystone Pacific Property Management which can be reached at 949-833-2600. The sub-homeowner's association is Linden & Laurel Maintenance Association managed by Action Property Management and can be reached at 949-450-0202. Homeowners association dues are approximately $100.00 and $66.00 per month. The location offers a short driving distance to 405 freeway, shops, restaurants and variety of services such as medical offices and many more retail stores offering residences services and needs. Schools are among the best of the award-wining top ranged Irvine Unified School District which include Alderwood Elementary School, Rancho San Joaguin Middle School and University High School. So if interested to lease or buy at Quail Hill then, please, contact us with any questions you might have about the market or our services. No question is too mundane - we want to help!